501 West Buttermilk Road. 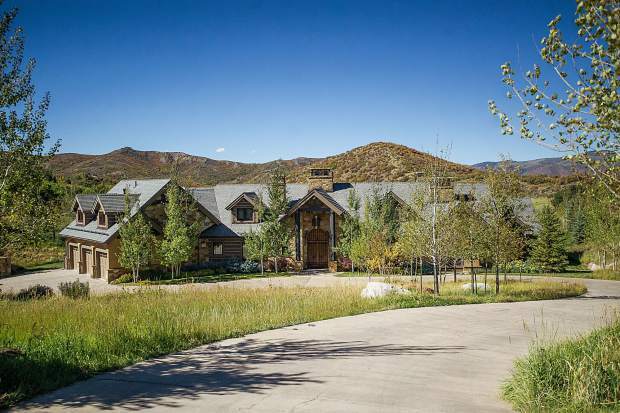 The 37-acre property on Buttermilk Road was supposed to contain just one house but is on track to be approved for a second home because of a mistake made by the city of Aspen nearly 20 years ago. A 37-acre property on Buttermilk Road that was supposed to contain just one house is on track to be approved for a second home because of a mistake made by the city of Aspen nearly 20 years ago. The city previously owned the lot at 501 W. Buttermilk Road but decided to sell it to offset the costs of buying the Burlingame property for an affordable housing development, according to a memo written by Pitkin County planner Mike Kraemer. Prior to selling the property, the city submitted an application to Pitkin County for a building envelope on one end of the parcel, according to the memo. The county approved that building site in 1999. Also before the property was sold, the city attempted to place a conservation easement on about 30 acres of the property to guard against any future development, according to Kraemer’s memo. That easement was to have been granted to the Aspen Oaks Homeowners’ Association, which abuts the property. However, the legal description of the conservation easement was never officially filed by the city with the other development-related documents associated with the property, the memo states. The first person who bought the property in 1999 built a 7,000-square-foot house on the site, then later sold the property. The new owners — a company called “Mass Development LLC” — then filed an application to subdivide the property. At that time, county planners noticed the conservation easement was not attached to the property and questioned why, according to Kraemer’s memo. However, the application did not meet Pitkin County’s growth management thresholds and the county denied it in 2009, the memo states. Mass Development then filed a lawsuit in District Court to clear up any title issues related to the conservation easement. In 2011, a District Judge ruled that no easements existed on the property, clearing the way for a maximum of two more houses to be built because the area is made up of 10-acre parcels, according to Kraemer’s memo. Mass Development then sold the property. The latest owners — identified only as “501 Buttermilk LLC” —submitted an application to build a 10,750-square-foot home on a 5.3 acre portion of the property, while granting a 26.6 acre conservation easement to the Pitkin County Open Space and Trails Program on the remaining portion, the memo states. The average size of homes in that area is about 4,800 square feet. Pitkin County commissioners have been debating the merits of that application the past month and this month and were initially concerned about the size of the home. At the board’s regular meeting Sept. 13, the applicant offered to reduce the home’s size to 5,750 square feet above grade and 4,000 square feet below grade. However, at that meeting Commissioner Patti Clapper said she was uncomfortable with 4,000 square feet worth of dirt being removed from the site and deposited at the county’s landfill. The construction impacts of such a subgrade space were simply too great, she said. “I would like to ask for a further reduction of subgrade space to 2,000 square feet,” Clapper said Sept. 13. Board Chairman George Newman agreed with Clapper, saying that large homes have outsized impacts because of necessary regular maintenance and upkeep. He also asked that the subgrade space be reduced to lessen the impacts. “I think we’re close (to an agreement),” Newman said. Kraemer said Thursday that the applicant has agreed to reduce the subgrade space to 2,000 square feet. That would mean the home can be no larger than 7,750 square feet, he said. No other development can take place on the property because of the new conservation easement, Kraemer told commissioners Sept. 13. Commissioners are scheduled to readdress the application Wednesday at their regular bi-monthly meeting. A city community development official did not return a phone message Thursday seeking comment about what happened with the original conservation easement.